COLLEGE STATION – A recent study in a preclinical model of inflammatory bowel disease shows dietary exposure to bisphenol-A, or BPA, found in polycarbonate plastics and epoxy resins, can increase mortality and worsen its symptoms. 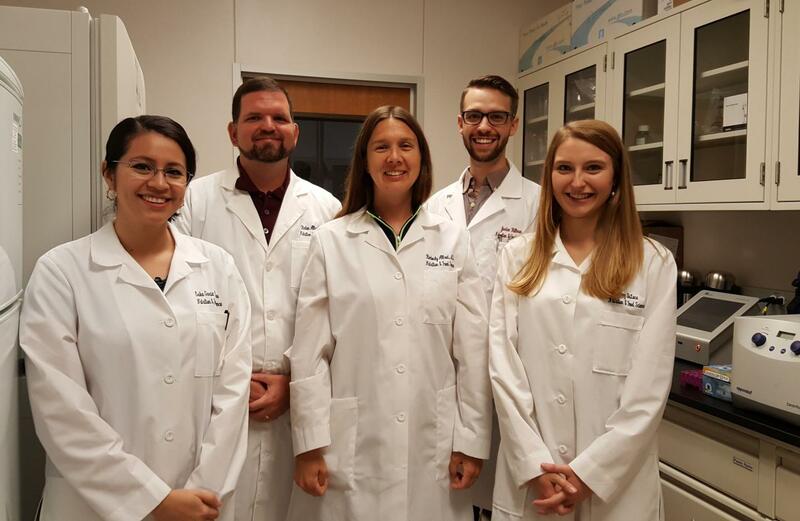 Dr. Clint Allred, a Texas A&M AgriLife researcher in the nutrition and food science department at Texas A&M University in College Station, led a study recently published in the Experimental Biology and Medicine journal. It can be viewed online at https://tinyurl.com/IBDresearchBPA. "The number of new cases of IBD are increasing, especially in nations that become more industrialized," he said. "While the causes of IBD have not yet been determined, several risk factors for developing it or worsening symptoms have been suggested. One such risk factor, the hormone estrogen, has been linked with an increased risk of IBD — and BPA can act as an estrogen. Furthermore, BPA has been previously shown to alter gut microbes similarly to the way the gut microbiota is altered in IBD patients." Because humans are frequently exposed to BPA through consumption of canned foods and the use of polycarbonate plastic containers, it's important to find out just what effects BPA exposure may have on IBD, he said. "To this end, we investigated the effects of BPA exposure in a pre-clinical model using mice with IBD." "These types of studies are important to provide initial evidence that we need to better understand how things in the environment influence our risk of getting or worsening symptoms of diseases like IBD and how we can reduce that risk," he said.